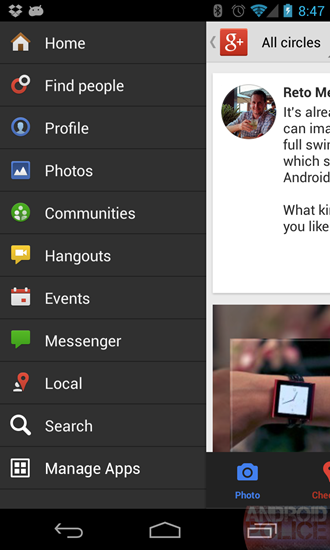 [APK Teardown] Google+ 3.5.3 - An "Apps" Main Menu Icon? 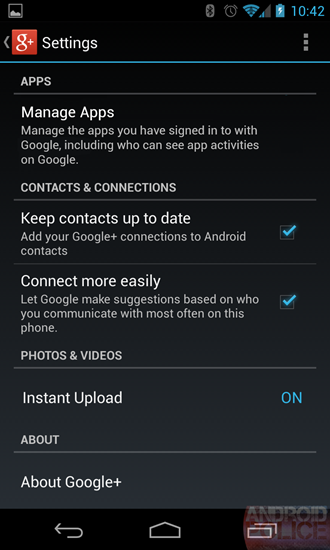 A "Manage Apps" Settings Section? What Is Going On Here? 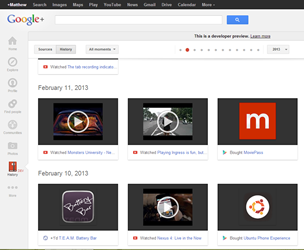 In the recent weeks, Google+ has had 2 pretty low-profile updates. The first one added a notification tray, and the most recent one was supposedly just a bug fix release, but they've both been adding new things, presumably for a coming update. Yes, it's teardown time. These teardown sessions seems to get more and more mysterious and strange as time goes on, and frankly I'm really not sure what's going on with these updates. I'm just going to lay out the facts first, and I'll throw some theories at you at the end. So put on your investigation hats - this should be fun. There have been two minor Google+ updates lately: a January 30th update versioned as 3.5.0.41809231, and a February 13th update versioned 3.5.3.42448346. Our first piece of evidence comes from the January 30th update, which contained this fresh bit of text. I posted about this on my Google+ page (you should totally follow me), and, once the February 13th update came out, it was gone. Google removed it from the APK. Interpret that however you'd like. The second piece of evidence is this new icon, in the top left, called "ic_nav_apps." It showed up in the February 13th update. Here it is next to the other icons called "ic_nav_[whatever].png." The other "ic_nav" icons are all main menu items. Now, you might do what I did at first, and put item #1 and item #2 together and get something like this, a "Manage Apps" menu item. That seems like the easiest and most logical answer, but it would be wrong. The icon belongs there, but the text does not. Let's go find all the other text for this menu. ...which would look like this. This is a perfect fit. There's a settings header in the strings file that says "Apps," all the other text on this screen has "preference" in the string name (for instance, "photo_preference_instant_upload_button"), and the "manage app" text is actually next to the other settings strings in the xml file. There's even a spot for the description text. What will this actually do? My wild guess is that it would allow you revoke these, which there is currently no way to do. 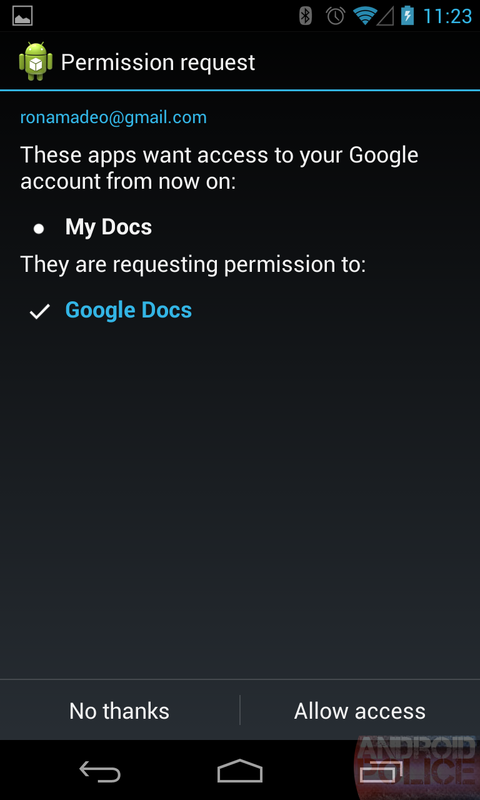 Once you allow an app access to your Google account, I don't think there is any way to turn it off. If I install this app, grant it access, uninstall it, and install it again, I do not have to grant it access a 2nd time. Something, somewhere, remembers. The closest thing we have right now is this page (Thanks to David Loring for the link), which will let you deauthorize third party web site access to your Google account, but the description for this setting says it's for apps. So this does not exist yet. 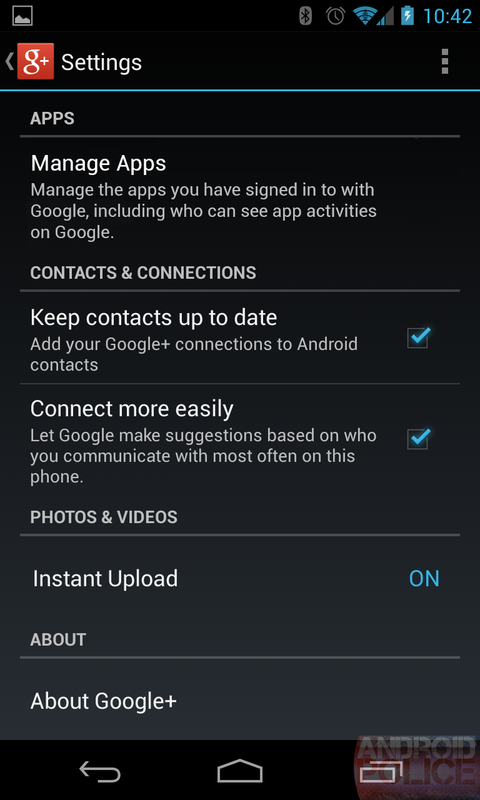 The last part of the description says it will let you manage "who can see app activities on Google," which is pretty strange, because I don't think Google displays "app activities" anywhere. I'm not even sure what that means. It sounds like spammy Facebook stuff in the style of "Bob listened to Skrillex on Spotify," which Google+ doesn't do. Update: Matthew Garbett points out that this sounds a lot like the "Google+ History API," which is currently in developer preview. The History API is described thusly: "your site or app will be able to privately save moments, such as a listened song, or a visited restaurant, to your users’ Google+ history." So yep, it sounds like "Bob listened to Skrillex on Spotify" is coming to G+. 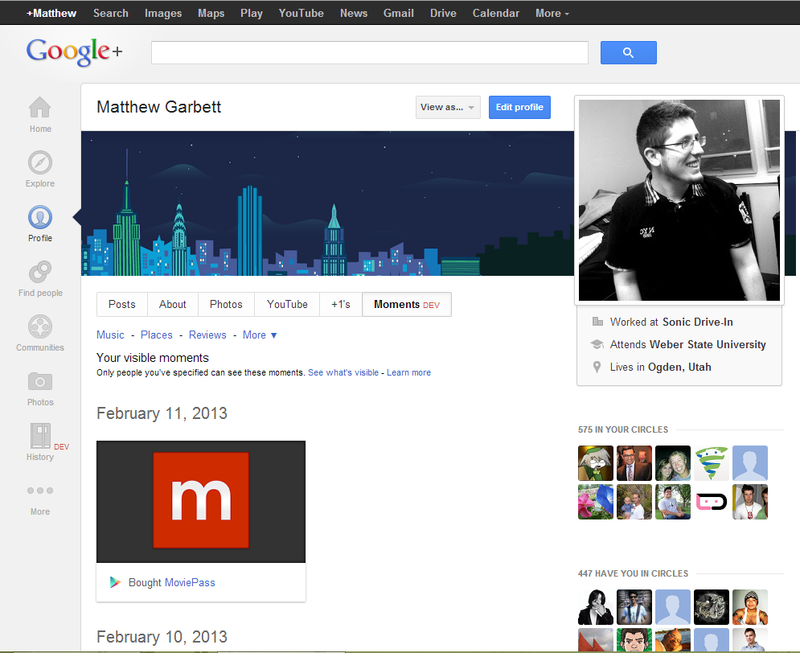 Matthew is in the developer preview and says it's not as horrible and spammy as Facebook's implementation. It doesn't go into your stream and is a separate section in your profile, just like +1 are. Here's some screenshots of the desktop version. As for the icon, that still goes on the main menu, but there's no text for it. So, at the end of the day, I think this is what we are left with. A now-removed settings option that will let you manage something that doesn't happen yet, and a mysterious, unlabeled icon called "ic_nav_apps.png" that definitely belongs on the front of the Google+ menu. There are so many questions. Why is Google adding text and then removing it in the next version? Have they finally caught on to APK Teardown? Do they even care? 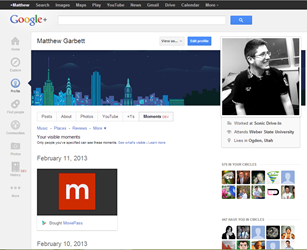 What is an "app" icon doing on the main menu of Google+? 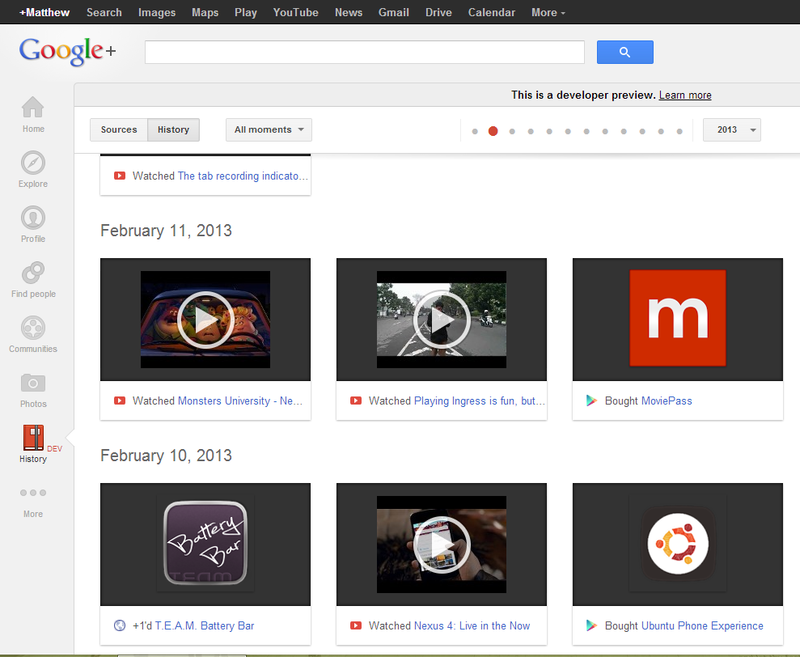 Is this the beginning of a huge Google+ platform push that makes apps run across mobile and the web? Something is cooking at Google HQ. I will definitely keep my eye on this. It will be interesting to see if the Apps icon disappears in the next update now, too. Until then, have at it in the comments.